Our San Francisco toxic tort law firm represents people who suffer serious illness as a result of exposure to chemicals or other toxins. 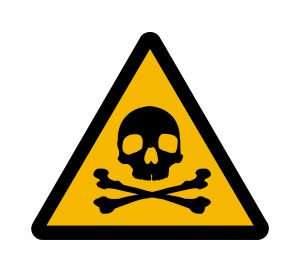 Toxic tort cases are often complicated by the fact that many illnesses do not develop until several years after exposure. We follow exposure-related sicknesses from across the country, and even across the globe, so that we can help our California clients develop evidence to support their legal claims in our state and federal courts. A newly released study, discussed in an article in U.S. News & World Report, suggests an increased rate of several cancers among the first responder to the terrorist attacks on the World Trade Center. Researchers at the New York City Department of Health found a forty percent increase in the rate of prostate cancer among the 9,853 firefighters working for the New York Fire Department. The group also suffered from thyroid cancers twice as frequently as occurred in the general population. Additionally, seven of the firefighters developed multiple myeloma, as opposed to the two cases that would be expected in a group of that size. Steven Stellman, one of the researchers involved in the study, cautioned that the numbers are still small and that it is difficult to predict the ultimate fallout from exposure in the 9/11 attacks. He noted it is still early given that exposure-related cancers can take decades to develop. Looking at all forms of cancer, the number of cases among the rescue workers is not statistically different from the expected rate in a general population group. However, these three specific types of cancer are appearing at a significantly higher rate than expected. Stellman noted that the responders experienced an “enormous, intense exposure to risky mixtures of known carcinogens.” The report indicated that hundreds of thousands of people may have been exposed to pulverized construction materials, dust, and other debris in the wake of the World Trade Center collapse. While the dust contained known and suspected carcinogens, there is no way to know exactly how poor the air quality was in the aftermath of 9/11 because the attacks destroyed the air quality monitoring stations in the area and fixing them was not a top priority. Thus far, there does not appear to be an increased cancer risk among people who lived and worked in lower Manhattan (first-responders aside) at the time of the attack. However, previous reports suggested an increased risk of asthma and post-traumatic stress disorder among WTC-area residents. Overall, researchers are taking a position of caution. It is early and the sample of firefighters is statistically small. However, the researchers felt the increased risk of prostate cancer, thyroid cancer, and multiple myeloma was significant enough that it should be made known to the public. Health officials will continue to monitor what researchers term a “serious public health issue” of the threat to first responders stemming from exposure to dangerous substances in the air following the terrorist attacks. As a San Francisco toxic exposure law firm, we understand that there is a very real link between air quality and health outcomes. Dangerous air can stem from a range of sources including oil refineries and other industrial plants as well as chemical spills and other toxic accidents. Serious health threats resulting from toxic exposure can range from respiratory illness to cancer. We welcome calls from individuals and groups concerned that their illnesses stem from exposure to airborne toxins. We can help.